I think this is month 7 or 8 (? lost track) of my IVIG Gammagard Infusions. This is human plasma which is for my primary immunodeficiency (PID) in hopes it will boost my immune system since I was born without one or a very weak immune system I have had all my life. 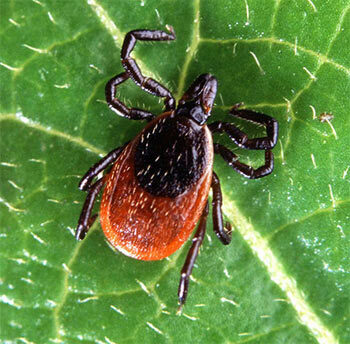 Most lymies have a secondary immunodeficiency caused by lyme itself or other illnesses. I had a very weak immune as a kid which allowed the tick bites/lyme and coinfections to enter my body and take over all these years. Most lymies may have a strong immune system but at the time they were bit their immune was compromised by maybe an illness which allowed them to get lyme also. My immune numbers are very low right now so I am hoping they do not drop any lower where I need to be in isolation for months, years. On Wednesday I had my full dose IVIG infusion with my home nurse. Everything went fine this time, no collapsed veins or any extra needle pokes. I took all my pre-infusion meds which seem to help. I have had very severe reactions from the infusions and this last month the bad reaction came the next day, which will be tonight so I am keeping my fingers crossed I don’t wake up with the bad reaction again, it is very painful and scary. The severe reaction causes my brain to swell and I can’t move at all, talk, think, read and I can’t text my mom to tell her I need help. My brain will hurt so bad, a lot of extra body pain, fever, chills and all I can do is lay in my bed trying to catch my breath and crying. Last night after the infusion I fell asleep early for once and slept pretty good but I soaked my bed more than usual in sweat and felt very spacey. I am waiting on my test results to see if my numbers have gone up or down since the infusions. Staying positive and hoping for better days! C’mon immune we can do this! I was looking through my old pictures and saw this one I posted March of 2013. This pile was a little over a year of mostly all Lyme meds (minus my huge cabinet full of IV stuff) that was in my closet I collected but I threw it all away. This is pills, herbals, injections and stuff like that. 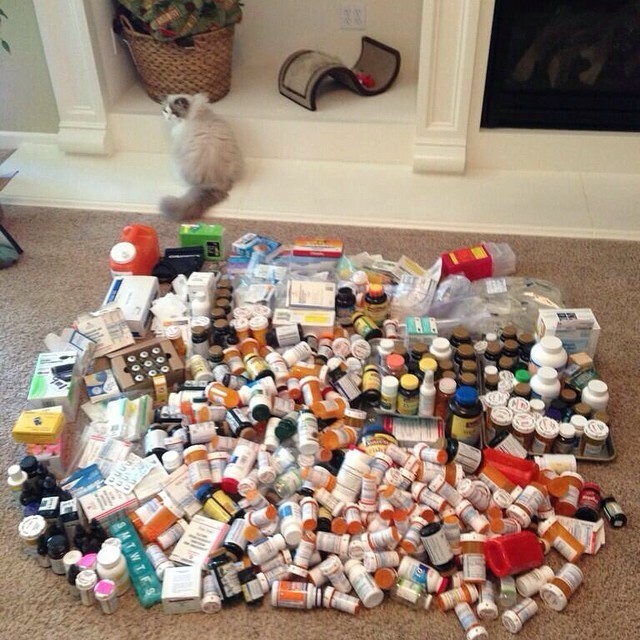 Probably 98% of these are empty so most of my daily meds were not in the picture. I literally have a home pharmacy and everything the ER has I most likely have it too. The ER is very unhelpful as many of you know so even when I feel like I am dying I will just rough it and stay home to avoid the medical bills and feeling humiliated at the hospital. This past month I have been crying in pain a lot more than usual and I am a pretty pain tolerant guy although I have severe chronic pain for the past 15+ years. I like to share this picture so those who think Lyme is curable or an easy fix can see the reality of it. Keep your thoughts positive and keep on fighting for those better days. We can do this we just have to believe in ourselves and our bodies. Don’t ever give up, life is a beautiful thing. 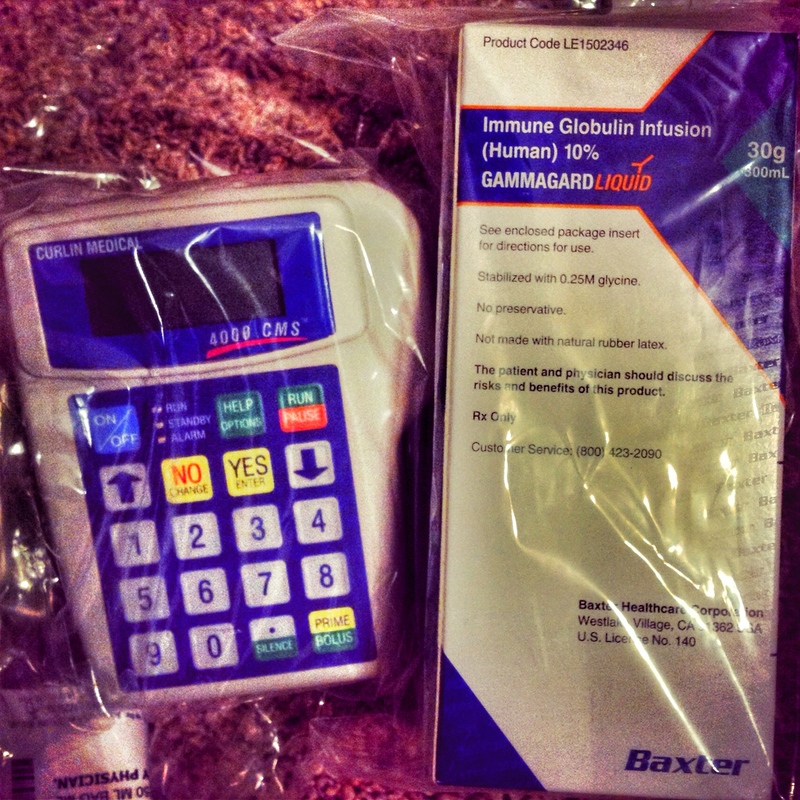 After getting my second IVIG (gammagard) infusion last week I didn’t have the immediate bad reaction. I did however get some side effects starting on day 2 and I still have them tonight. I did get a slight migraine, head pressure and I could hear my blood rushing through my head for hours. My cognitive issues are worse so I am making up words more often since I cannot find the real words. My daily symptoms are 10x worse, my pain is more severe and I noticed my arthritis is much worse all over in every bone. I doubled my extended release morphine (MS Contin CR) to 180 mg per day (long acting pain killer) with 30 mg of Norco (breakthrough pain killer) and my medical marijuana edible and CBD oil but nothing is touching the pain or taking the edge off. A lot of tears of pain lately. I am still waiting on my referral to be approved for my Ketamine infusions (for pain) at the pain center. The idiots denied my first referral that took forever to get then told me to resend a referral because they threw out the first one. I am also taking NSAIDS, Benadryl (for the IVIG reaction) and many other herbal pain killers daily with epsom baths. I have been much sicker and starting 3 days ago I have a swollen, painful throat now. I lost my voice yesterday. I thought it was strep throat again but it is not, this is different so I am not sure if this is from the IVIG or a bug from having family around me at Easter. I am usually in the house 24/7 and never around other people except my parents. I rarely go in public unless I need to get a prescription. I would say the IVIG side effects (not bad reaction) are almost like having a flare or similar in ways to a herx. The bad reaction I had to the infusion, to be honest I would have literally killed myself if I had that pain for a week. My brain was so inflamed I couldn’t think, speak, breathe, move, see…etc. So luckily the second infusion only gave me side effects with no bad reaction so that’s a plus. I am doing a full dose (30 grams of gammagard) in 4 hours although I would prefer 6-8 hours next time. I am pretty exhausted, I haven’t been sleeping well so I am sure I left out a lot of things that have been worse since the infusion. I have been on the verge of wanting to go to the ER but like I said before I have all of the same meds here at home that they would give me at the ER. The ER always treats me like I am just some freak that knows nothing so I hate when I have to go. 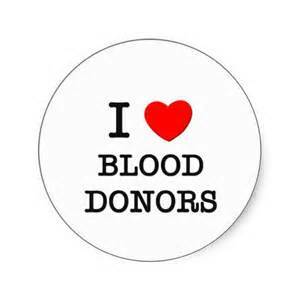 I also wanted to thank all of the healthy blood donors who are helping to save my life, my sister jewels’ life and all of the others who need blood, plasma…etc. I never donated blood because I always knew there were too many medical issues for me to feel good about giving my blood. Luckily I never did with having lyme. I always admired those who took the time to donate but I never knew one day I would need plasma from the blood being donated. It takes 1000’s of different donors blood just to make one IVIG infusion. Hopefully there will not be a shortage on it one day because so many people depend on it. I need to do what I can to keep my numbers from going any lower and staying out of isolation. My sister is literally in a bubble and cannot come in contact with her own hubby and son. Without the donors and IVIG my sister may not be here today, she’s a fighter. I hope all of my readers have a great weekend and maybe get to enjoy some sunshine. Whatever you do, do not give up! If you feel alone and depressed reach out to a friend or find a support group and make new friends. I love my spoonie family on IG/Twitter… they have been very supportive. I met some great people in support groups, one girl (my ex) that I love more than anything, one really best friend who is always there for me, and many others who have my back. If you have nobody around then I highly recommend getting on twitter or Instagram and look for others with illnesses. Don’t ever feel alone. Find the beauty in life, look around and when you find it smile. You are alive and breathing and remember someone always has it worse than you do. Take care friends. It is day 3 after my second IVIG infusion and the side effects have hit me. This isn’t the bad reaction I had the first time but more of just symptoms or worse symptoms than usual. Day two I felt inebriated and my mom was speaking to me and her words sounded backwards. I went outside to watch my little buddy (friend’s son) find eggs hidden for him and I ended up passing out and missed it all. That night I was feeling really weird. Today is Easter, Day 3 and last night I sweated severely and soaked the bed (worse than usual babesia), then woke up with a migraine. This migraine was my usual migraine and not the aseptic meningitis I had during the first IVIG. The migraine lasted all day/evening and I woke up about 6pm with no appetite. I am still feeling worse so I need to sign off. 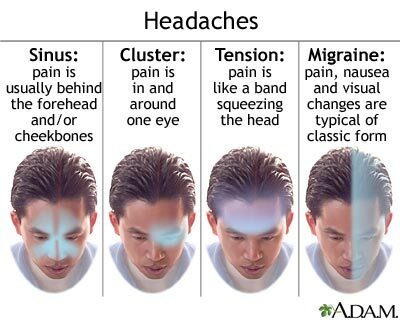 Flushing, headache, dizziness, chills, muscle cramps, back/joint pain, fever, nausea, or vomiting may occur. Tell your doctor or other health care professional immediately if any of these effects occur, persist, or worsen. Pain, redness, and swelling at the injection site may also occur. If these effects continue or become bothersome, tell your doctor. Tell your doctor right away if you have any serious side effects, including: easy bleeding/bruising, fainting, fast/irregular heartbeat, unusual tiredness. Rarely, this product may contain substances that could cause infections because it is made from human blood. Though the risk is very low due to careful screening of blood donors, discuss the risks and benefits with your doctor. Tell your doctor immediately if you develop any signs of infection such as persistent sore throat/fever, yellowing eyes/skin, or dark urine. It’s World Primary Immunodeficiency Week (WPIW) coming up show your awareness. I recently found out I have been primary immunodeficient all my life. I thought maybe Lyme caused my immune to be weak but my immune was so weak it allowed lyme and every other disease to multiply inside me over the years. 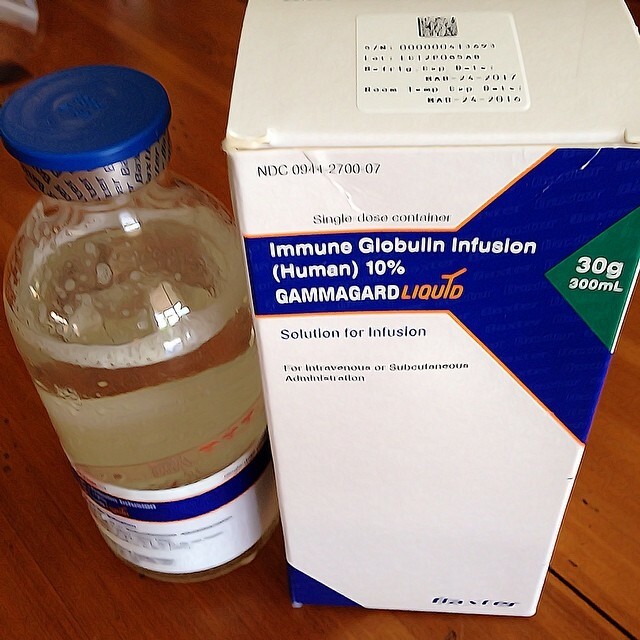 Day 2 of IVIG (Gammagard) and I tried a different approach. This time before the IV infusion I took Claratin, Benadryl, Ketofin, doubled my morphine to 60mg, took 25mg of Norco, took cortef, and drank plenty of electrolyte water. The infusion was supposed to last 8 hours. 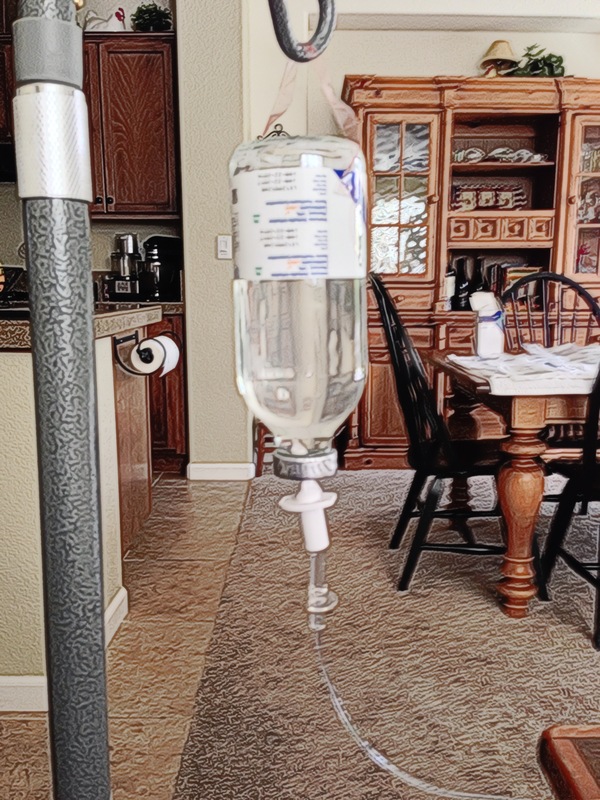 I told my home nurse to slow the drip rate and override the pump so it was extend the infusion to 8 hours versus 4 hours that gave me the bad reaction the first time (read it here). For some reason the infusion was over in only 4 hours. I didn’t have any side effects or reaction to the plasma this time. I felt like my usual hurting self that day so I didn’t notice any increase in symptoms. That night I soaked the bed in sweat which I usually do with my Babesia but I haven’t soaked the bed in a while I am killing off the Babesia. I think it was from the IVIG. I also had stomach cramps. Later the next day when I woke up I had a slight headache, very dizzy and tipping over, slurring speech, couldn’t understand any words said to me…. I was out of it. I am still feeling that way so I am off to bed right now. I will catch up on comments soon, sorry guys. But I am here thinking of you all. Stay Strong. Just a quick update. I haven’t been feeling well at all for the past 2 weeks. Feels like a flare but a little different so I’m not sure. All my symptoms are worse and I wasn’t able to leave the house to buy a gift for a friend until one night I forced myself to go. I was extra dizzy and got car sick as soon as we left the drive way. I was hoping to travel for the summer to meet friends but I do know if I can hold up. I haven’t traveled (flight) since 1996. I have a follow-up appointment today with my doctor from GMG. We will go over blood results to see why I clot and also bleed out. She will be seeing how the pain meds are working and how I am doing on the meds (herx). I haven’t had any herxing from the coinfection meds or any supplements she gave me. I will also let her know my heart is under control now and back to a normal POTS range. She may be adding in some new meds but I can’t remember. My home nurse called and said she could do a night time infusion since she knows I am a night owl (lymepire). So the infusion should last about 8 hours and she will be coming over at 4pm. I will be taking claratin, benadryl, tylenol, water with electrolytes before the infusion begins. I hope I don’t have the same bad reaction as last time that was a living hell and hurt my brain so bad. Wish me luck with round two. As for all of you, I appreciate all of your feedback and support and I hope you all have someone supporting you as well. Never give up this fight, we will all make it to the top. Have a day and smile. 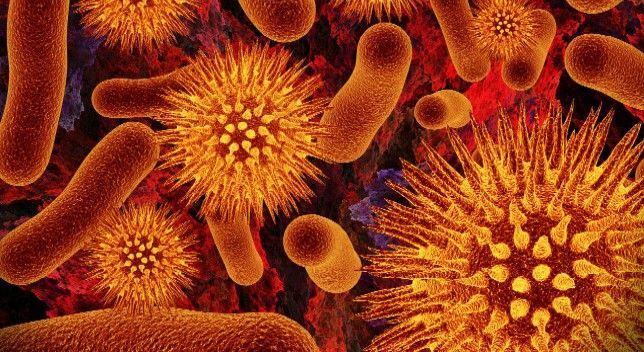 **I am no expert on immune systems and this information may not be 100% accurate but I am sharing with you what I have learned over the years with my immune system problems. Over the last 4 to 5 years of getting treatment, I had a lot of blood work done. My immune system was rarely checked before finding a good LLMD because my GP’s did not seem to care or want to look at the whole picture. I was only 10 months old when I had Osteomyelitis and I lived in the hospital for months with an IV in my ankle bone getting antibiotics. At that time my doctors knew I would always be sick or susceptible to bugs my whole life with a high risk of having juvenile arthritis (JA) or rheumatoid arthritis (RA) as I got older. My current LLMD is piecing together my life and believes maybe a tick was brought in by one of our cats and I got Lyme as a baby in my crib. If not we know it was definitely when I was 8 years old and possibly re-infected when I was in my early 20’s. So maybe after getting infected by the tick as a baby my immune was shot and allowed me to be sick all the time the rest of my life with some rare diseases most kids never get or it could have just been from the osteomyelitis we will never know. I had the flu a few times a year, colds, bronchitis, strep throat, ear infections… you name it I had it frequently. So fast forward to 4 to 5 years ago and my immune was “weak” on paper. My IgG was always low but my IgA was usually a point or 2 above low/borderline low so my diagnoses was just a “weak” or “low” immune system but they would not call it an immunodeficiency. I wondered why that was until I found out. My doctors would always say “I would like to get you on IVIG but you will not be covered because your numbers aren’t low enough”. It turns out Medicare will not cover IVIG unless my IgA was literally low (not borderline or even 1 point above low for example I had 91 when low is anything under 90). So Medicare will only cover IVIG if your IgA is below 90 then you are considered “immunodeficient” and not just a weak immune system I guess. My current IgA was 40 and my IgG subclass 1 & 3 are low but I cannot find my IgM numbers. I am not sure what other insurance companies consider low enough to cover the IVIG. So when I took this last set of blood work my LLMD had a smile on her face and she said “you are finally low enough to get IVIG covered, this is a good thing!” So this will help give my immune a boost and keep those numbers regulated hopefully and maybe my immune will strengthen and start to fight off bugs again. I wish I could have been on IVIG for the past 4-5 year while I knew it was low (which it could have been low my whole life nobody ever checked that I know of or seemed concerned by the numbers). I know of a few Lyme friends who are also getting IVIG so we are going through this together and supporting each other. This last visit to the ER the nurses and doctor all kept questioning why I was on IVIG but then when they saw my numbers they said “do not give up doing them you need them”. So no matter how much pain they cause or the bad reaction I had to my first one I will keep doing them. I think these are the best thing for my body right now since I can no longer take any antibiotics. I have always used supplements and immune booster pills for years and I can see those never really did much. Selective IgA Deficiency is the most common of the primary Immunodeficiencies. It is defined as the total absence or severe deficiency of IgA. Blood serum levels for IgA deficient persons are usually found to be 7 mg/dl or less, while serum IgA in normal adults ranges from 90 to 450 mg/dl. Hope you all have a better pain and flare-free week. Find your reason to smile today!